If 5 + 5 + 6 = 253013 then 9 + 4 + 7 = ? Multiply frst number and middle number... Eg: 5×5=25. Multiply the frst number and last number... Eg: 5×6=30. Add the numbers obtained in the above procedure. 25+30=55. 55-(third number on the left side) =55-6=49.so,(4+9)=13. So, last two digits are 13. 99-(thrd digit on the left) =99-7 =92. So, (9+2)=11. 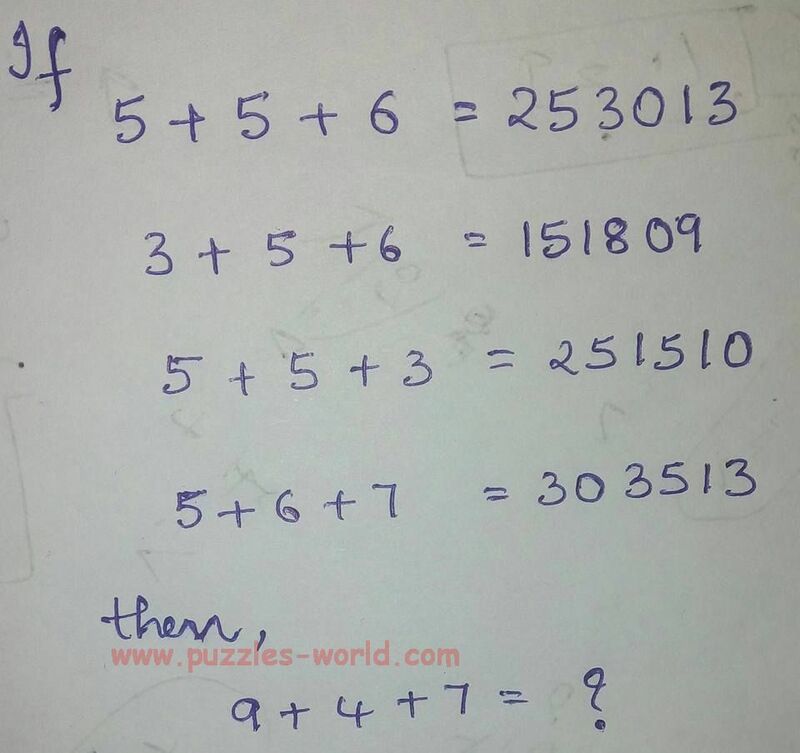 So,366311 is the right answer...! !